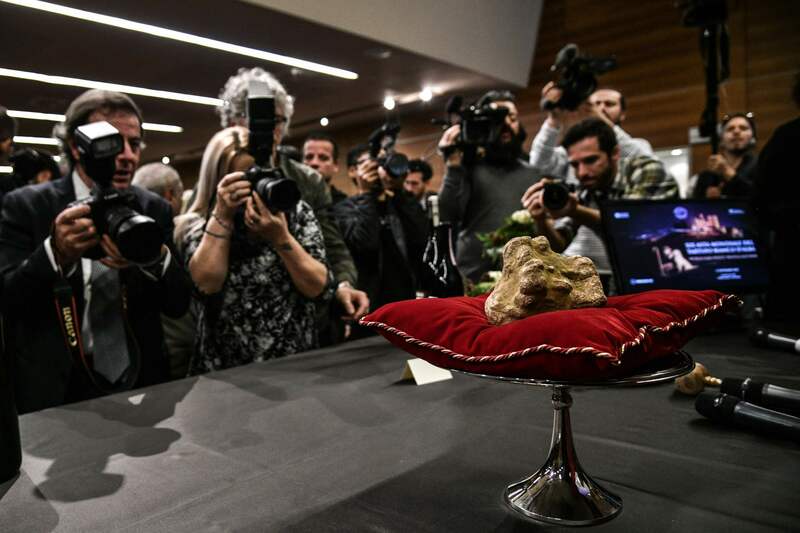 PIEDMONT, ITALY - A rare 850-gram white truffle was auctioned for €85,000 ($96,000) in the Italian region of Alba on Sunday, with the anonymous Hong Kong buyer paying nearly 30 times this year’s market price for smaller nuggets. The annual auction held in the region near Turin saw the unusually large white truffle sold at a price that would value it at €100 per gram. 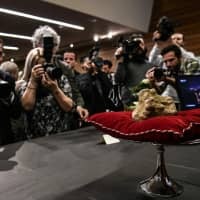 “The price of this exceptional truffle does not correspond to the market price, which this year is around €350 for 100 gram,” the event’s spokeswoman told AFP. The white truffles of the Alba region are highly sought after and are unearthed between Sept. 21 and Jan. 31. This year’s harvest was excellent, both in terms of quantity and quality, after a difficult season last year. The bumper harvest has brought the regular market price down — to the applause of restaurateurs and gourmets. “Last year, because of the drought that drove a weak harvest, we got to €600 to €700 for 100 grams. This year we went to €250 and now it is around €350,” for nuggets weighing an average of 20 grams, said Antonio Degiacomi, head of Italy’s National Centre for Truffle Studies. “It is characterized by an intense perfume, which conjures romantic encounters, the forests, nature. It is very evocative,” said Degiacomi. Alba has hosted truffle auctions for 88 years as part of its annual truffle fair, which goes on for around two months. This year’s event was held in conjunction with Hong Kong, where the buyer was located.